Dr. Petra Hauf will be joining the University of New Brunswick as Vice-President of the Saint John campus. As an internationally renowned researcher, Dr. Hauf will build upon UNB’s momentum as a global leader in research and continue to advance UNB as a research-focused institution. Dr. Hauf is joining UNB from St. Francis Xavier University, where she is currently the dean of science. 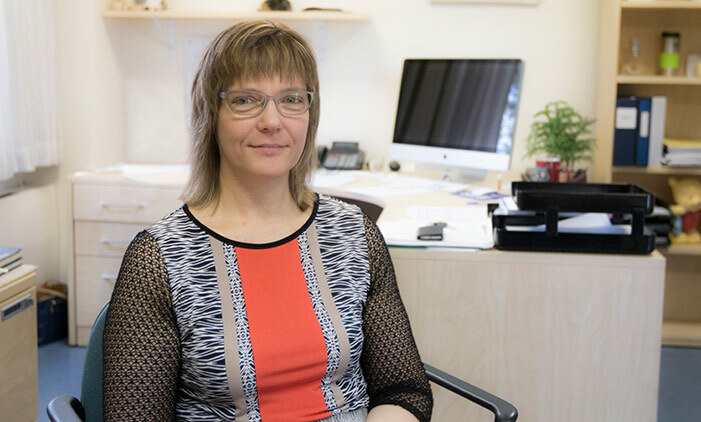 As a testament to her dedication and accomplishments in research, she became the dean of science despite being a full professor in the faculty of arts. Under her leadership, the faculty of science introduced several, very successful interdisciplinary programs. Throughout her tenure at St. FX, she was appointed the Canada Research Chair in Cognitive Development, the former department chair in psychology, and has been the acting director of the Rankin School of Nursing. Dr. Hauf hopes to develop strong partnerships and deepen the connection among faculty, staff and students to build a stronger sense of community both on and off campus. She feels that together, faculty, staff and students can create an inspiring and thriving environment that enhances overall campus life at UNB. Dr. Hauf will begin her new role as the Vice-President Saint John in March 2019.